Here at Maps International we have created another 2 different designs to our bestselling Scratch the World Prints. In this blog we will be showing you what our new designs look like, and also a little reminder of what Scratch Prints we already offer. 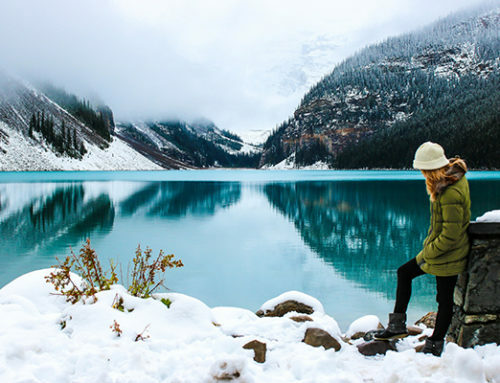 This is the travel edition of our original Scratch the World Print. 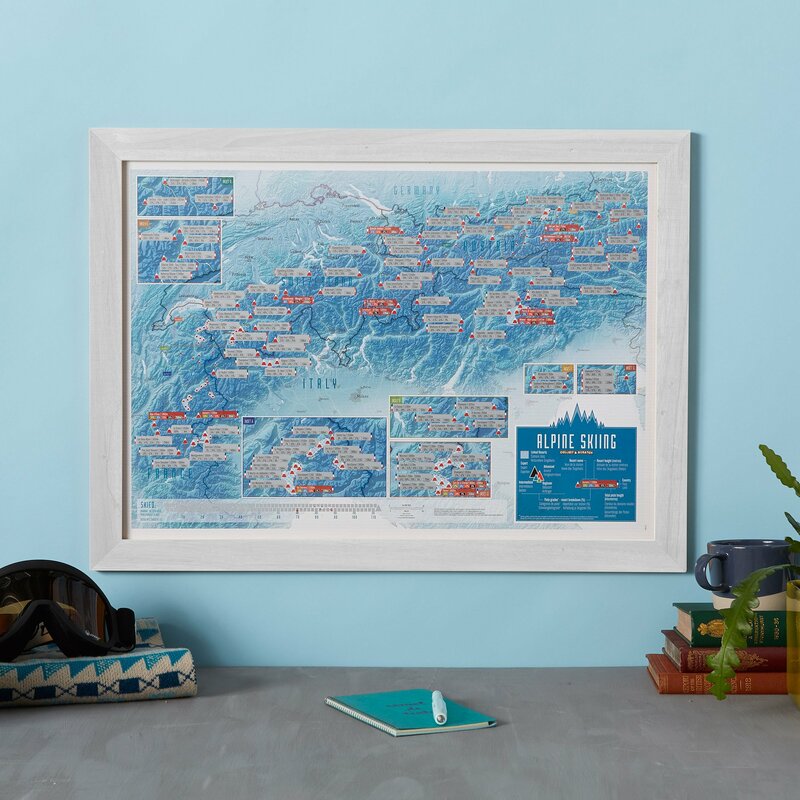 This is a brilliant travel sized concept map allowing visited destinations to be scratched off revealing the beautifully styled up-to-date world map underneath. 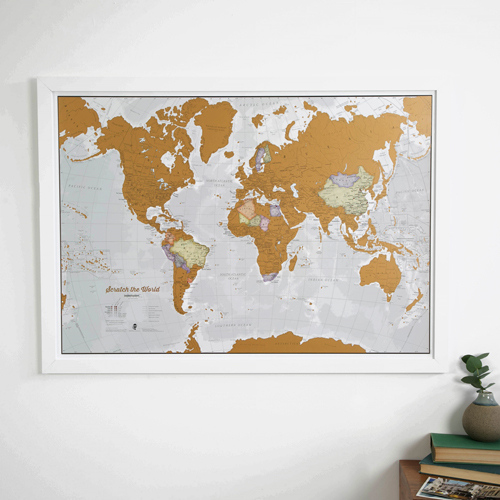 At a handy A3 size rolled neatly into a tube, you can now take your scratch map with you on your journey and record your travels! 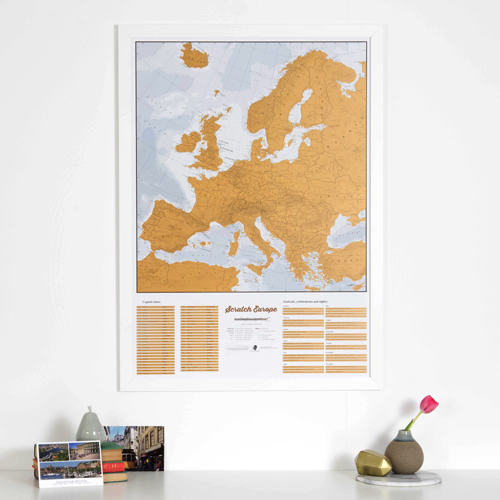 This brilliant concept map allows you to scratch off visited destinations to reveal a beautifully styled up to date Europe map underneath. With this map, we have now turned this into a portrait version. At the bottom of the map we give an option to scratch out capital cities, festivals, celebrations and sights. These are our original Scratch Prints. 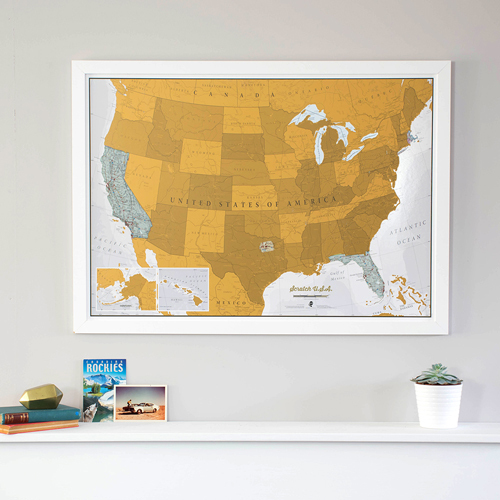 In a world and USA version, these maps are a great way to personalise your own travelling adventure. 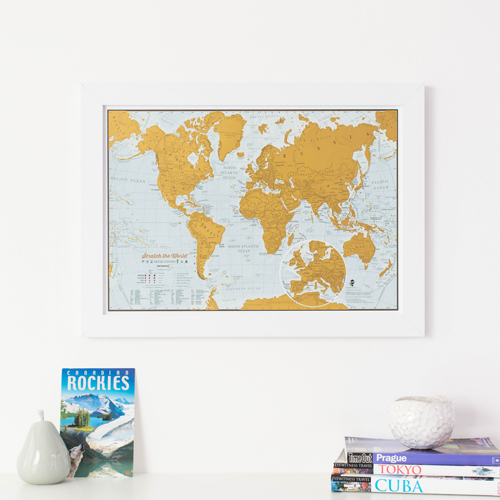 All of these maps would make a brilliant and unique gift for the traveller in your life.